The federal government acknowledged that equality is equality, without exception. That the effort of one human being is, can be, no more nor less valuable than that of another. That we really do, finally, hold this truth to be self-evident. The executive order applies only to federally contracted workers. The law still allows for widespread discrimination. The entire system is in desperate need of reform. So we’ll keep at it. But what happened in that room yesterday matters. And we moved one step closer to the future we know is possible. With no one left out. 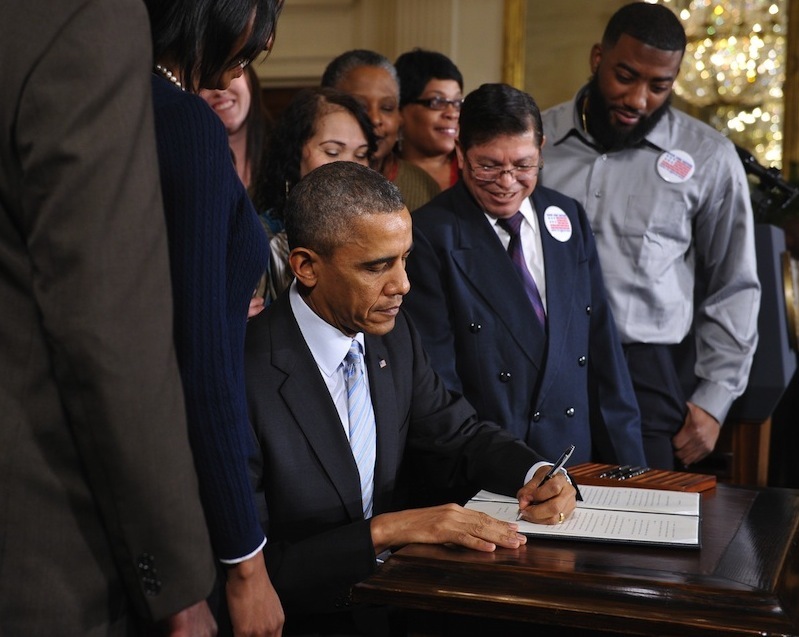 Click HERE to thank President Obama and Labor Secretary Perez. As I said on FB yesterday, “Good job by everyone”. 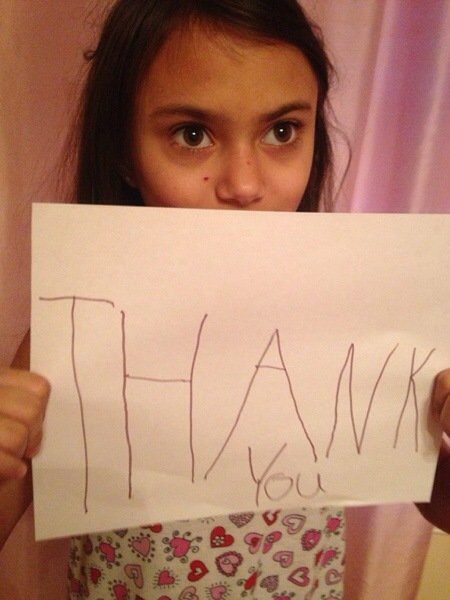 An extra good job to Brooke for her “Please” and “Thank You” signs. this is just very exciting…great news, that picture of your sweet kiddo says it all. This is very exciting. I know we still have a long way to go to care for our disabled, but this is start. Good stuff. Stay safe with this storm. I just saw this. Timely I thought. I liked where it says everyone finds where they are comfortable and fit. It refers to a staff member who wasn’t comfortable serving etc but works hard in the kitchen.